He was an illustrator, writer, fashion designer, caricaturist and commercial artist. Sacchetti collaborated with Marinetti, the Father of Futurism, on his magazine Poesia, in Paris, where he worked as a fashion illustrator immediately before WWI. At the outbreak of the war he returned to Italy, where he worked as a propaganda artist , magazine and book illustrator, and designed postcards and posters. In his long career, he is well known for an illustration and graphic style that often crossed the borders between portraiture and caricature. 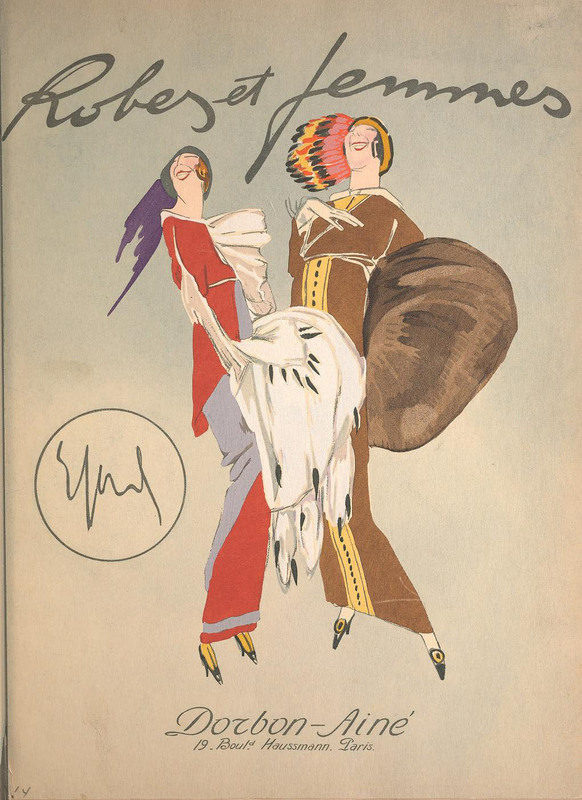 Robes et femmes, was a satirical look at the avant-garde designs of Paul Poiret and Paul Iribe’s iconic Les Robes de Paul Poiret racontées par Paul Iribe (1908). Note the exaggerated poses and figures of the models, and the elongated necks and shoulders shown here. 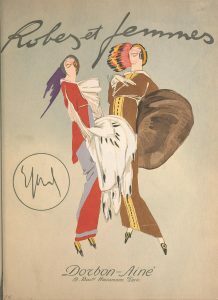 Sacchetti’s illustrations which depict feathers, furs, turbans and tunic dresses resemble Poiret’s designs of the time. The cover and 13 plates are hand colored lithographs which were published in limited edition portfolios of 300 numbered copies. What is an approximate price for a set of the prints?